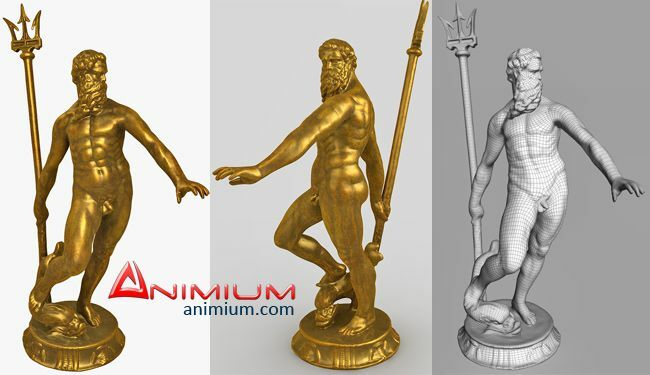 Mid poly mesh, detailed 3d model of Poseidon statue, a Greek God. 3ds max Procedural shader, and textures, with Normal map. Detailed model perfect for architectural renderings and animations. model can be rigged and animated.